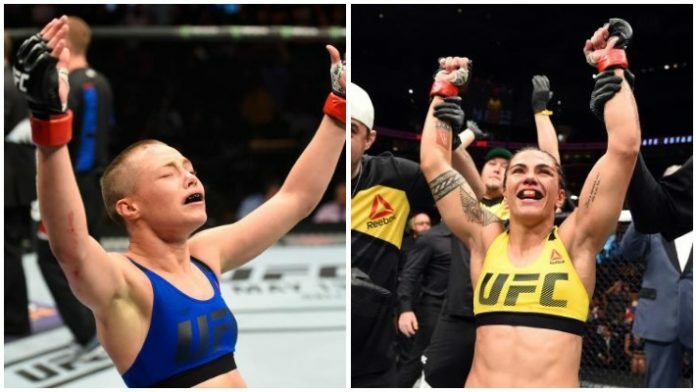 Jéssica Andrade will receive a second chance at UFC gold as she will reportedly challenge reigning strawweight champion Rose Namajunas at UFC 237 in Brazil scheduled for May 11th. News of the bout was originally reported by ESPN. The reported title defense will put Rose Namajunas dead center in hostile territory and will give Jéssica Andrade the opportunity to become the third female Brazilian to become a UFC champion. Fans have been eager to see Rose Namajunas make her Octagon return, as her last fight was in April against a common opponent to Andrade, former champion Joanna Jędrzejczyk. Namajunas would field more favorable results than her future opponent, defeating Jędrzejczyk for the second consecutive time in the event. This scrap between Namajunas and Andrade has been a long time coming, and 13 months after her last title defense, Namajunas will look to remind the world that she is the new strawweight queen. UFC 237 takes place on May 11th, 2019 from Brazil in a venue to be determined. There is no word yet on what will be the event’s main event. What is your early prediction for this strawweight title fight? Will Rose Namajunas successfully defend for the second time? Or will Jessica Andrade cash in on her second chance?